The 4-Hour Body (2010) is a collection of research and findings about unconventional body-regulating methods from doctors, scientists, professional sports trainers and the world’s top athletes. 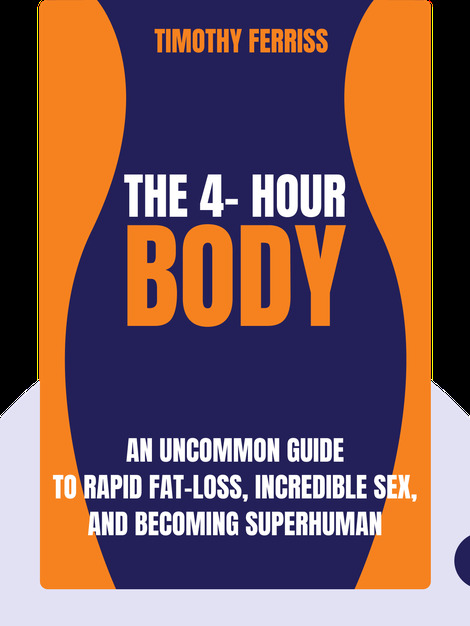 These methods are personally put to the test by the author, leading him to unearth life-changing shortcuts to improving his body and overall lifestyle. 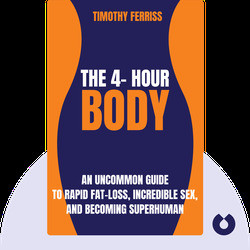 Timothy Ferriss is the author of several self-development books, including the New York Times bestseller, The 4-Hour Workweek, with 1.3 million copies sold worldwide. He is also an angel investor to startups and an advisor to companies such as Facebook, Twitter and Uber.